Search is located in the main menu. Just start typing the phrase you're looking for and you'll get search results that match your phrase the best grouped by projects, budgets, deals and people. 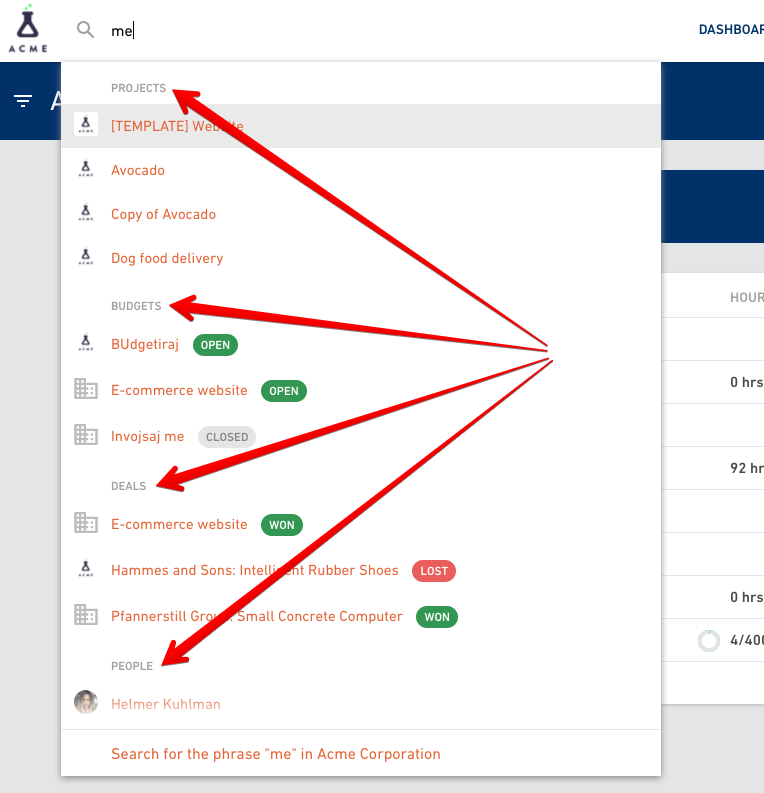 If you still haven't find what you've been looking for, go the bottom of the search results and search for the phrase across entire organization.